Overpriced. The Aspire cannot boast with exceedingly high computing power. Then again, it pleases with a very low operating noise and decent keyboard. However, Acer demands the ridiculous price of 500 Euros (~$557) for the laptop. Like virtually all laptop builders, Acer also uses the same casing for multiple laptop lineups. That is also the case for our present Aspire ES1-521. 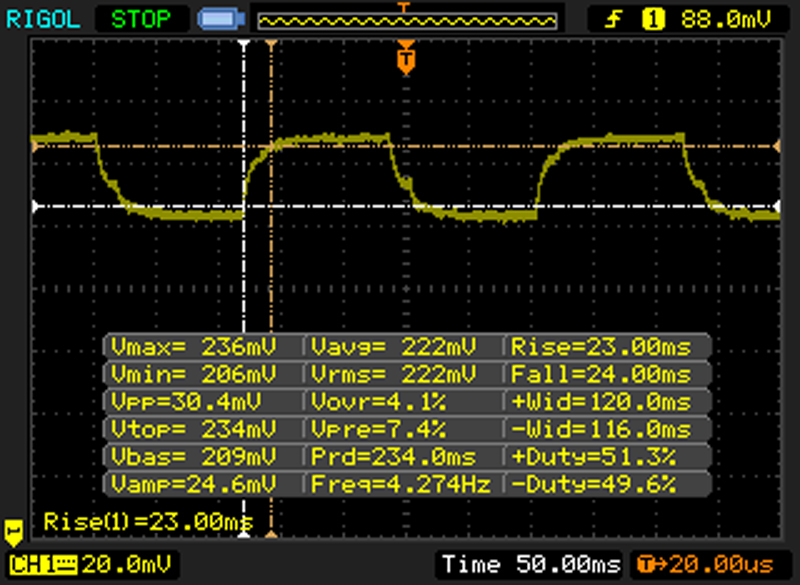 Its build is the same as in the Aspire ES1-512 and Extensa 2519 lineups we have tested. Differences are found inside: The ES1-521 models are furnished with AMD APUs. Its siblings come with Intel processors. Besides its own siblings, rivals of the Aspire are also found in laptops like HP's 350/355 G2, Fujitsu's LifeBook A514, Lenovo's IdeaPad 100-15IBD, and Toshiba's Satellite C50D-B. Since the Aspire's build is identical with that of the Aspire ES1-512 and Extensa 2519, we will not go in-depth about casing, connectivity, input devices, screen or speakers. Corresponding information can be found in the reviews of the Aspire ES1-512 and Extensa 2519. The Aspire sports the same matte, 15.6-inch screen as the previously tested Extensa 2519. Nevertheless, the measured rates deviate slightly. That is normal since two identical panels will never correspond to 100%. We are dealing with a screen that can boast with decent contrast but a somewhat too low brightness. 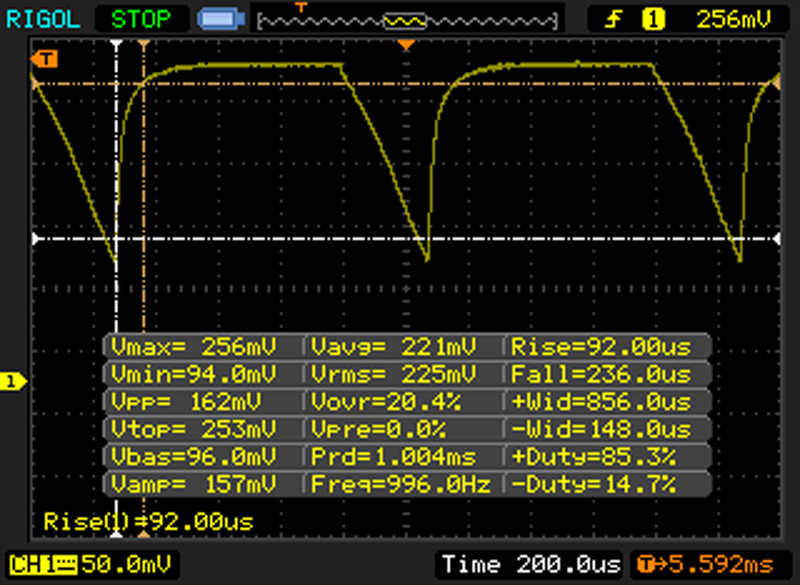 The screen displays PWM flickering at a frequency of 1000 Hz in brightness levels of 90% and lower. Sensitive users should not experience problems with this high frequency. Acer has a basic 15.6-inch office laptop in its lineup with the Aspire ES1-521. It is suitable for applications from the office and Internet sectors. Our review sample is available at just below 500 Euros (~$557). Acer has diverse configurations in its portfolio. The presently lowest priced Aspire ES1-521-60RY (A6-6310, 4 GB RAM, 1 TB HDD, no Windows operating system) is sold for approximately 350 Euros (~$390). The identically built models of the Aspire ES1-512 and Extensa 2519 lineups considerably expand the selection. Acer installs an A8-6410 APU (Beema) by AMD in our review sample. The quad-core processor of the APU clocks at a base speed of 2 GHz that can be boosted up to 2.4 GHz via Turbo. The full performance cannot always be retrieved. The CPU only clocks at full speed when processing single-thread applications in AC mode. 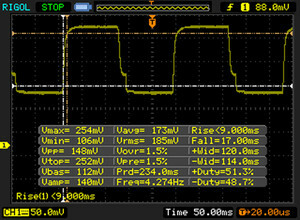 Multithread applications are performed at 2 to 2.2 GHz. 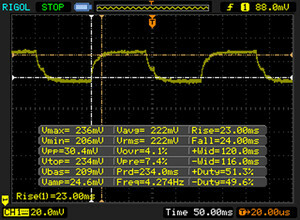 The speeds drop slightly in battery mode (single-thread: 2 to 2.4 GHz; multithread: 1.8 to 2 GHz). AMD's processor finds opponents in the Bay Trail and Braswell processors by Intel. It cannot compete with Intel's Core i models. The system runs smoothly. We did not experience problems. The PCMark benchmark scores correspond to the installed APU's performance. It is also possible to increase the Aspire's system performance by replacing the HDD with an SSD. The system then operates faster. Although the laptop is furnished with two working memory modules, the storage does not operate in dual-channel mode. The installed memory controller only supports single-channel mode. Thus, the graphics performance cannot be increased. The Aspire sports a 2.5-inch hard drive by Western Digital. It spins at 5400 revolutions per minute and has a capacity of 500 GB. The drive's transfer rates are on a normal level for a 5400 RPM model. AMD's Radeon R5 (Beema) graphics core takes care of video output. The GPU supports DirectX 11.2 and clocks at speeds of up to 800 MHz. The 3DMark benchmark results are as expected for this graphics core. The GPU is roughly on par with Intel's HD Graphics 4400 graphics core. AMD's APU renders some games smoothly using a low resolution and low quality settings. Games with low hardware requirements even allow higher settings. Performance-driven smash hits like Just Cause 3 or Star Wars Battlefront are not playable. The gaming performance is too weak for a 500-Euro (~$557) laptop. Considerably stronger laptops are found in this price range, such as Acer's own Aspire E5-573G-36P1 (price: 500 Euros, ~$557). It features a Core i5-5005U processor and GeForce 920M GPU. It provides more CPU and GPU power than our present review sample and consequently also produces higher frame rates. The Aspire operates quietly over the entire load range. Only the hard drive's subdued noise is audible in idle. The fan often stands still. Replacing the HDD with an SSD would ensure even more quietness. The noise level reaches 33.2 dB in the stress test. Processor throttling becomes evident here. The Aspire performs our stress test (Prime95 and Furmark run for at least one hour) differently in AC and battery modes. The processor clocks at 1.4 GHz and the graphics core at 800 MHz in AC mode. 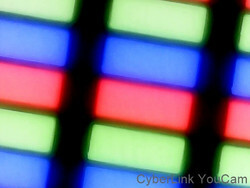 They reach rates of 1.2 to 1.4 GHZ (CPU) and 300 to 400 MHz (GPU) in battery mode. 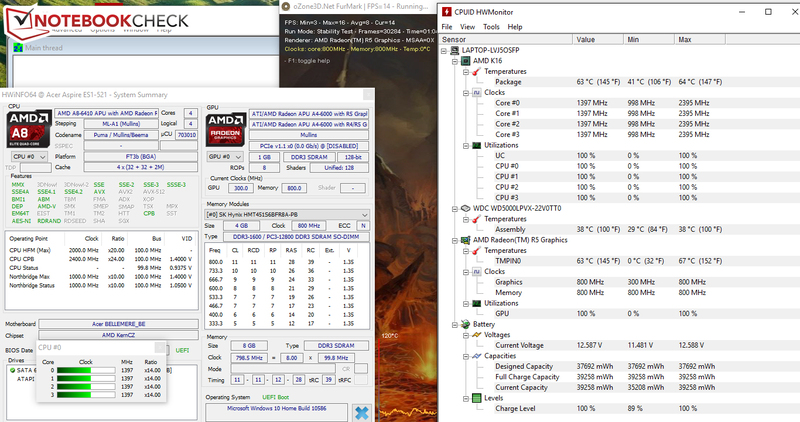 The laptop heats up quite a bit at two measuring points despite CPU throttling. We measured rates of approximately 50 °C. These temperatures will unlikely be reached in routine use. The stress test represents a worst case scenario that will not occur during normal use. 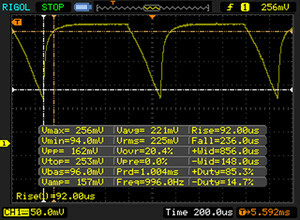 We measure a maximum idle power consumption of 9.6 watts - an acceptable yet not outstanding rate. The requirement climbed to 29.3 watts in the stress test, which is only slightly higher than during medium load (27 watts). The processor's strong throttling in the stress test is responsible for that. 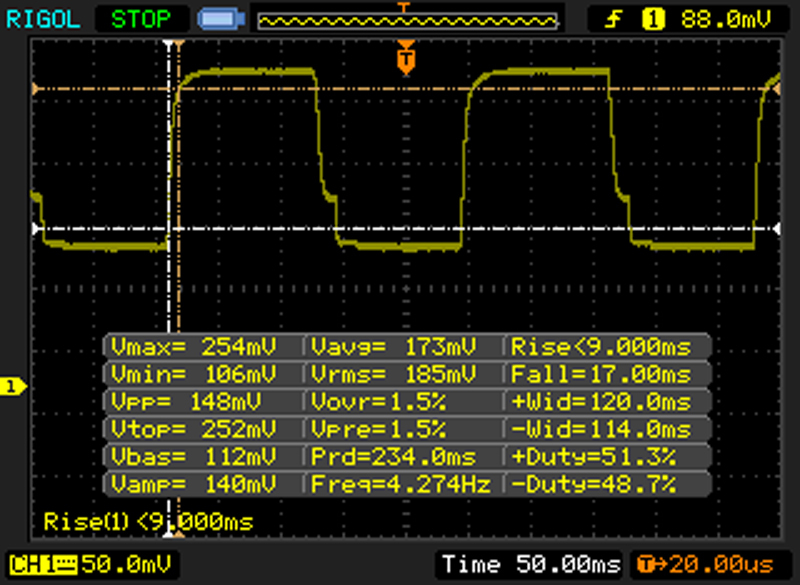 The power supply has a nominal output of 45 watts. We simulate the load needed for opening websites in our real-world Wi-Fi test. The "Balanced" profile is enabled, and the screen's brightness is set to approximately 150 cd/m². The Aspire manages a runtime of 4:50 hours. That is roughly 50 minutes shorter than that of its Aspire ES1-512 and Extensa 2519 sister models. The laptop has not been furnished with exceedingly high computing power. The APU in the Aspire will satisfy the requirements of applications from the office and Internet sectors. It can also render all standard video formats. The laptop's advantages are found in other aspects. It operates very quietly over the entire load range. Beyond that, it - like its sister models - features a decent keyboard. A matte screen with good contrast is also part of the bundle. However, it could be brighter. Unfortunately, the Aspire does not have a maintenance hatch, like many other laptops nowadays. Replacing the hard drive requires a bit of effort. The Aspire's casing would have to be opened for that. 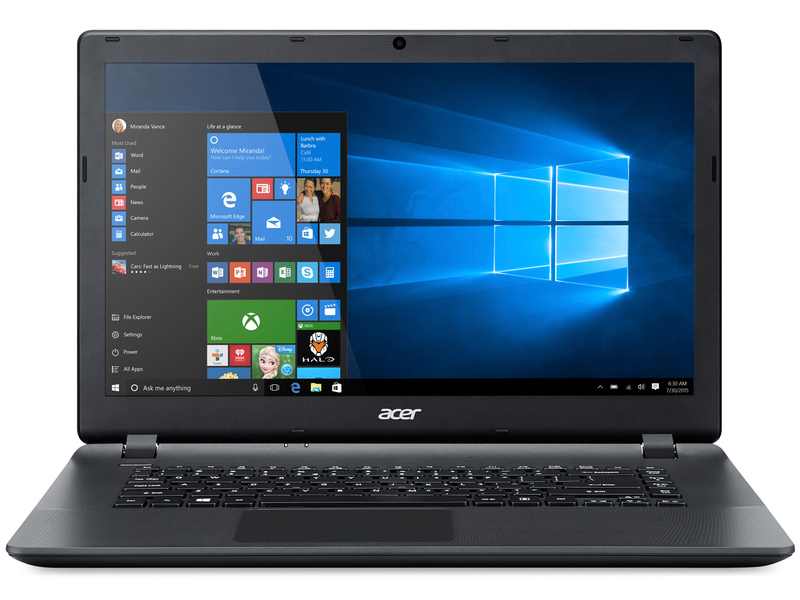 Acer includes a two-year warranty on the laptop. 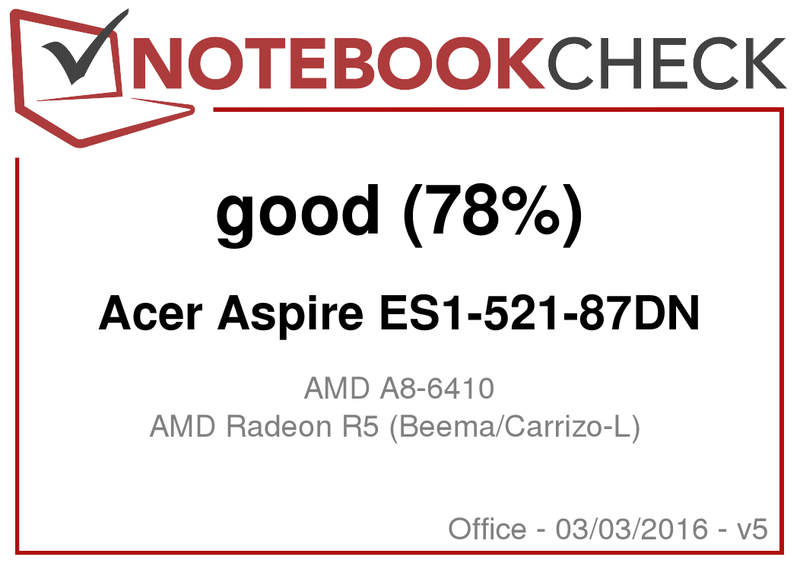 The price-performance ratio of the Aspire ES1-521-87DN does not seem right. The laptop was listed at 499 Euros (~$556) in diverse online shops while testing it. We deem the price too high. Users generally interested in the Aspire and explicitly wanting an AMD APU will find cheaper models within the ES1-521 lineup. Corresponding configurations with the A6-6310 only lead to an insignificantly lower computing performance.